Burbank, CA—March 2017… Jimmy Church has a multifaceted career. He recorded and produced rock bands on the Sunset Strip in the 1980s, opened the Pro Audio department at Guitar Center’s Megastore on Sunset Boulevard and became the GC chain’s number one salesperson, and worked in sales for equipment manufacturers Alesis, Amek, and HHB. 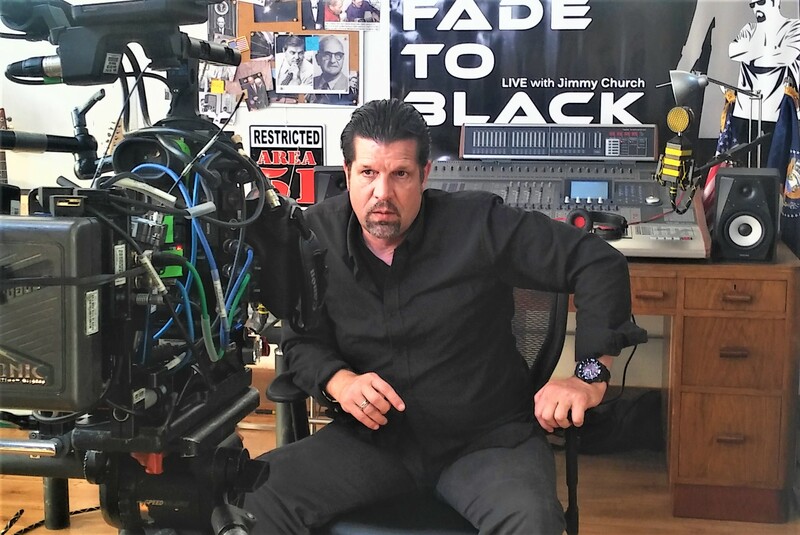 In 2008, he started an Internet radio sports talk show, then went on to be the host of a live show, Fade to Black on the Game Changer Network and now syndicated on the KGRA-dB digital radio network. Church also is a guest host on Coast to Coast AM with George Noory, appears on Hangar 1: The UFO Files and Time Beings on the History Channel, and hosts and speaks at an assortment of conventions. Given that his work goes out over the Internet, and he is quite familiar with digital technology, it is perhaps ironic that Jimmy Church is very much an analog audio guy at heart. “People comment to me all the time, ‘man, your show sounds amazing; how can I do that?’” he relates. Having grown up in part on his grandparents' farm, RT Valine is in some ways a classic old school folk and country singer/songwriter, with a deep, rich voice that conjures memories of Johnny Cash.